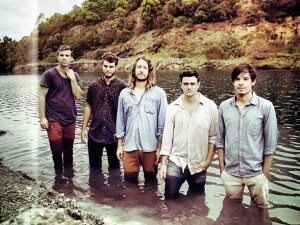 The stars continue to align for Brisbane indie outfit The Art Of Sleeping. Hot on the heels of their 2012 singles ‘Empty Hands’ and ‘Above The Water’, the five piece has announced that they’re heading out on the road for the national ‘Above The Water’ tour. Joined on the jaunt by Sydney outfit Tigertown, the tour will be contained exclusively to the East Coast throughout late August and early September, kicking off at Black Bear Lodge in their home town and ending up at Melbourne’s Northcote Social Club.